We offer a variety of products that can be used to create systems for Soil Science and Soil Moisture. Many of the major components used to create these systems are listed below. Please let us know if we can help you configure a system. Our measurement systems are based around programmable data loggers that measure the sensors, then process, store, and transmit the data. We offer a family of reliable battery-powered data loggers that have wide operating temperature ranges and ample input channels for commonly used sensors. Our data loggers interface directly to most sensors, eliminating external signal conditioning. If needed, channel capacity can be expanded using multiplexers. Our data loggers also feature programmable scan rates, measurement types, and recording intervals and provide onboard statistical and mathematical functions for on-site data management. We can measure nearly every commercially available soil sensor, including tensiometers, heat flux plates, thermocouples, psychrometers, lysimeters, and gypsum blocks. The following is a discussion of the Soil Water Content and Soil Water Matric Potential sensors we manufacture. The availability of multiple telecommunications and on-site options for retrieving data also allows systems to be customized to meet exact needs. Options include: voice-synthesized phone, telephone, cellphone, satellite, radio, ethernet, short haul, meteorburst, coaxial cable, and storage module. Systems can be programmed to send alarms or report site conditions by calling out to computers, phones, radios, or pagers. Real-time or historical data can be displayed or processed with Campbell Scientific software. Data can also be exported as ASCII files for further processing by spreadsheets, databases, or analysis programs. We measure soil water content using methods that are sensitive to soil dielectric constant. Our TDR100-based system uses proven time-domain reflectometry (TDR) to accurately and reliably measure soil volumetric water content and bulk electrical conductivity in soils over a wide range of textures and soluble salt concentrations. This system uses coaxial multiplexers to connect the TDR100 to up to 512 TDR probes. The TDR100 features lower current demand and a typical measurement time of two seconds. The operating temperature range of -25° to +50°C covers typical applications as well as monitoring frost depth. Windows support software provides setup, troubleshooting, and display of waveforms and measurements. A customized 16 inch by 18 inch environmental enclosure is configured to easily mount and protect a CR1000 datalogger or CR3000 datalogger, 12 Vdc power supply, TDR100, and 8-channel multiplexer. The CS650 and CS655 are multiparameter smart sensors that use innovative techniques to monitor soil volumetric water content, bulk electrical conductivity, and temperature. They estimate soil-water content for a wide range of mineral soils. Measurements are corrected for effects of soil texture and electrical conductivity. If you need a profile of the soil water content, the EasyAG and EnviroSCAN sensors are an ideal solution to measure soil moisture at multiple depths. Easy to install, the probes have a measurement range from oven dry to saturation. Integrating the probes into a data acquisition system allows the data to be telemetered back to a field station or remote computer. For portable volumetric water content measurements, the HS2 HydroSense® II and HS2P HydroSense II Pole systems provide a probe and output display. They can be carried from site to site to provide immediate soil water content readings. 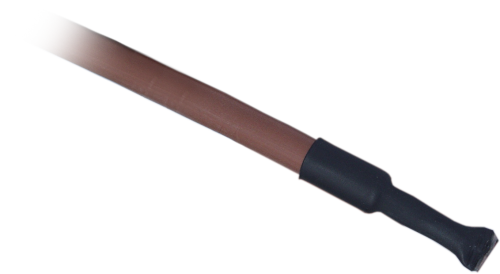 Sensors from Campbell Scientific that measure soil water matric potential use heat dissipation and electrical resistance methods. 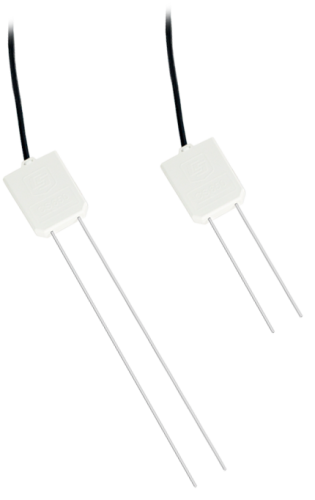 The 229-L Matric Potential Sensor covers a water potential range from -10 J/kg to -104 J/kg by using the temperature response of a heating element embedded in a ceramic matrix. 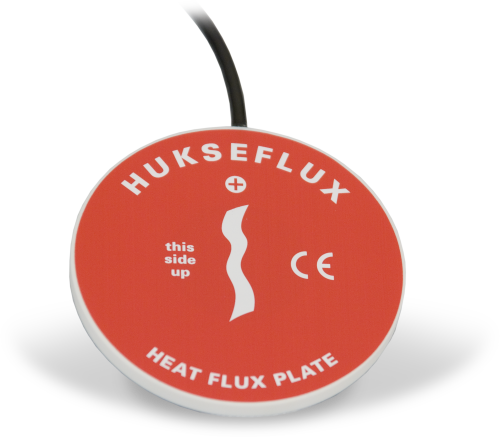 A constant current source is available for reliable and precise heating. Sixteen 229-L sensors are easily multiplexed to a single data logger differential input channel using a multiplexer. Watermark and Delmhorst electrical resistance sensors provide an inexpensive method of measuring smaller matric potential ranges. What are the key parameters that have to be measured to determine the amount of water needed for irrigation? A weather station typically measures solar radiation, temperature, wind speed, and relative humidity. These parameters are then used to calculate evapotranspiration, which is then used as a starting point in the process of fine tuning an irrigation application to site-specific conditions. These conditions, such as soil type, can vary widely. The following is a list of companies that have developed expertise in our products and provide consulting, installation, and other services for soil science and soil moisture applications.